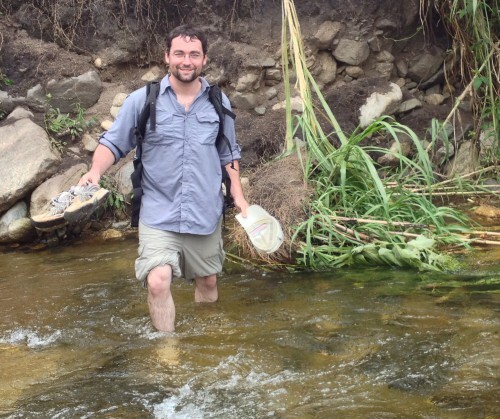 Dr. Ryan Wallace has worked around the world to help halt the spread of rabies. 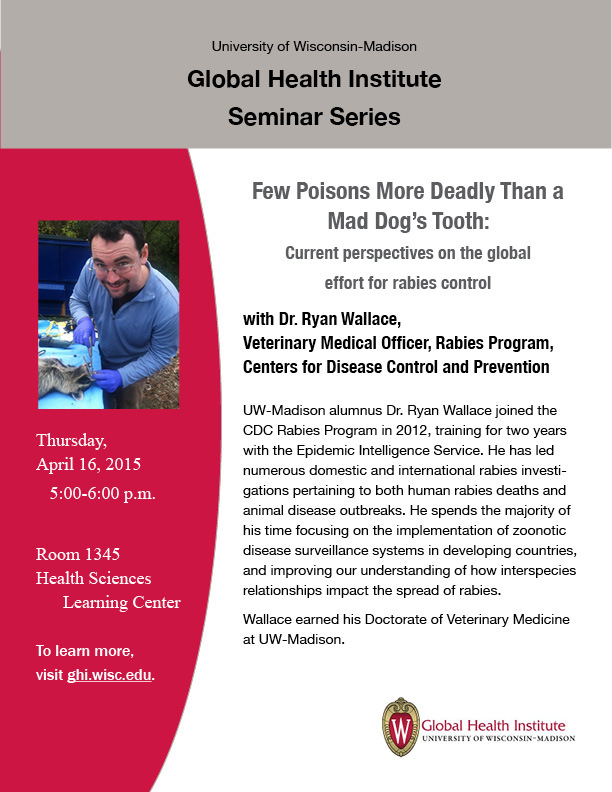 UW-Madison alumnus Dr. Ryan Wallace works to combat rabies across the world. 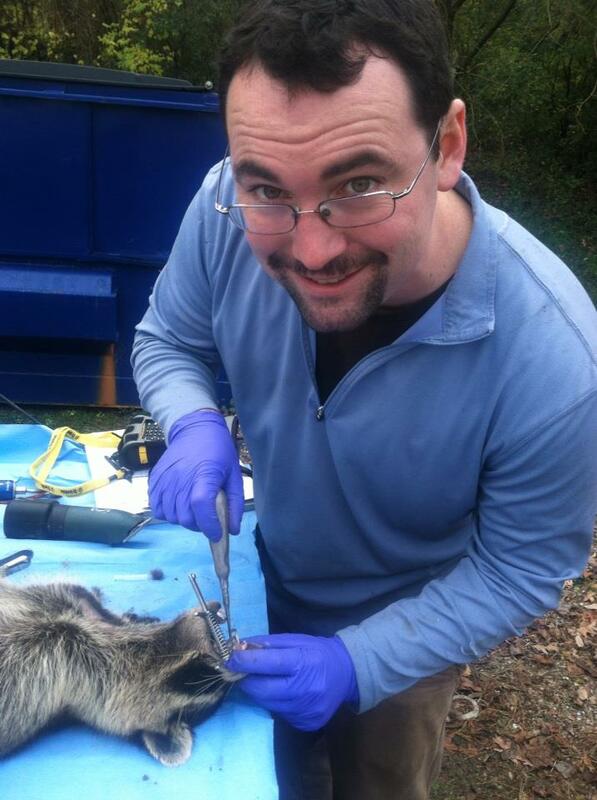 Wallace joined the CDC Rabies Program in 2012, training for two years with the Epidemic Intelligence Service. He has led numerous domestic and internation rabies investigations pertaining to both human rabies deaths and animal disease outbreaks. He spends the majority of his time focusing on the implementation of zoonotic disease surveillance systems in developing countries, and improving our understanding of how interspecies relationships impact the spread of rabies. Wallace earned his Doctorate of Veterinary Medicine at UW-Madison.